Over the Last few decades, India has experienced that getting admission in the prime colleges of Engineering is far tougher than migrating overseas for higher education. Seemingly, the scenario is somehow, in case of the NRI/foreign students, is experiencing a boomerang! Every year an abundance of students from Foreign/NRI category percolates in premium Engineering Institutions some through reserved quotas while some through other quotas. But whatever might be the procedure of their admission first they have to crack the rigorous entrance exam JEE essentially entitled for engineering aspirants. Infact from 2021 onwards, JEE scores are to be mandatory for the students who want to take admission in Top Technical Institutes of India under the DASA/CIWG Scheme (According to the latest notification from DASA). Speaking of JEE, as the mode for the erstwhile engineering entrance exams has changed, the mechanism of retro patterned preparation style for the aspirants has also attained new perks. Among the abundant flamboyance of the JEE exam, the online-based preparation is actually adding few more stars nowadays. Why Foreign/NRI must opt for Online JEE Coaching? Often a lopsided strategy for the preparation of rigorous JEE exam can only give an ill result no matter how far you stretch your caliber. Thus, in the contemporary tight competition existing behind the mechanism of getting the admission in your dream institution truly requires a kickass planning. Through online mode of preparation, an NRI aspirant can positively grab much more than an offline session. There are no other mandatory lines remaining for the students who are basically residing far from India. JEE Coaching Online actually saves students from killing precious time & investment which they would require to traveling from one pole of the equator to the other. Interestingly, with the privilege of saving time, the Online JEE coaching also allows the NRI aspirants to fix their suitable timings for each subject. The perks of choosing the Online Coaching over offline doesn’t end here. But actually consists of a huge list of its unmatched indispensability. Aspirants can easily get study materials for JEE Preparation stuffed within a digital package which can be multiple times played, paused according to the wishes of the aspirant. Unlike the offline mode there is no restraint on the field of time management and thus it makes the aspirant to clear his/her flaws & doubts whenever required. On failure of hitting the targets, every aspirant receives endless caveats from the authorities of the online preparation domain, so that the students can achieve the required pace essential for the best preparation strategy. Thus, it maintains a perfect decorum that actually helps in enticement of the confidence inside the aspirants’ heart & soul. Exclusive and easy attainment of lectures provided by the online preparation domains which are primarily designed & developed through various experts. In the hardcopy form of the study material, even an aspirant can store those intriguing parts of the lessons for each discipline. Therefore, in the form of a CD, DVD, interactive portals, etc now NRI JEE Aspirants can achieve success for his/her first time effort. The Online JEE Coaching for cracking the JEE Exam is simply superb because they only contain the core elements required to give you the requisite shape of a topper. The representation of the plummet moves regarding the explicit lessons which not only saves a student’s time but also keeps him/her attached to the screen without any loss of interest. With the impeccable abundances of huge JEE mock practice papers collection by the JEE online preparation domains, there is also a great space for detailed & smart solution behind every concept. Within an ideal & striking timescale, they have perfectly designed the periodic appearances of the tests and corrections. Unlike the JEE offline mode, the tutors are not in the hurry of touching targets only. But with great zeal of enthusiasm, they creatively stand beside each status of every aspirant and helps them multiple times to achieve excellence on their weaker areas. In time of clearing a particular doubt, the students might have to wait for a long time gap, which again contributes as a big demerit of choosing the Online JEE Coaching as the sole way. Encapsulating all the portions of the aforementioned evaluations, still Online Tutoring/Coaching is the winner in comparison with the traditional way of Preparation. Choose the required way of preparation by booking a free Demo/Counselling with us and properly utilize each second with correct intervals for relaxation. All the best! Scientifically proven that an audio-visual note always create impactful map on a student’s brain in a direct way. Thus, when we intake audio-visually, it actually excites us to learn and stays in our mind for a longer time. So, the online preparation strategies and mechanisms are far more interesting and stress-less activity than an ordinary offline one. Compact designing of the syllabus backed by periodic Mock Test Sessions positively prepares a JEE Aspirant within a simple & easy yet smart curriculum. Because of the friendly and simple aura of the tutorials by the fellow IITians, that student can seriously enrich within himself/herself by residing miles away from India. All the key points included in the prior syllabus of the new JEE exam are exclusively conceived in every JEE Online Coaching approaches. The most relaxing part is that our Online JEE Coaching/Tutoring maintains a prior record of the entire tutorials exclusively available for those aspirants. Thus, they can re-practice them again & again at their desired time. Let’s see why online JEE Coaching is considered better for JEE preparation for NRIs? Online JEE Tutoring/Coaching is a well-appreciated method as these are attempted by well-qualified staffs. This method has been well utilized even by the students which helped them in scoring top ranks in JEE. All these preparations are guided through a team of professionals. Moreover, for each subject, different professional is hired. As per a survey, it was revealed that the students who took Online JEE Coaching for their preparation successfully grabbed the top positions during JEE Results. Many of them are now placed at the top IITs, NITs, & other top Institutions. Hence, if you are comfortable with online learning, then you definitely can choose Online JEE Tutoring. The JEE Online Coaching has been found more affordable than JEE Offline Coaching. The offline reputed coaching centres charge more than $2500 per year. For taking this sort of coaching, the students have to spend expenses like Hostel or PG, travelling, meal and beverages, and much more. Despite that, large number of students in a class makes it difficult for each student to have doubt sessions according to their needs & they may not be able to save those offline classes for later for revisions. So, from this perspective, online coaching is way better than offline. The teaching methodology in the online mode of preparation is incredible over the offline. In offline mode, only the students sit on the front benches get more attention than the last benches. But in a case of online mode, students understand with the help of videos with 3D graphics & props which surely help them to understand thoroughly. 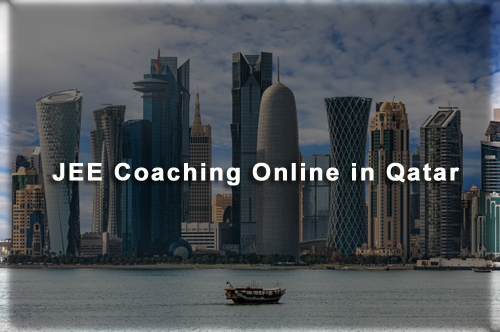 Moreover, the JEE Online Coaching endows the students to learn and understand individually at home or other places, but offline mode only permits classroom Coaching. The offline mode of JEE preparation is less convenient as the students have to take hostel or PG facilities which requires travelling time, cost & accomodation cost. They also need various other expenses which may increase the overall expenses. But the online mode endows them to prepare for JEE at their home. They don’t need to join a special place to learn through the online mode. Moreover, for all the homesick students, the Online JEE preparation mode is the best. The online mode always welcomes a direct interaction everytime which is not possible in a case of offline mode. This assists the students to clear their doubts in any subjects in least number of days possible.. It is a great way for all the brilliant students as they can learn faster & effectively utilize their time and money as well. Hence, for all the NRIs, Online JEE Coaching for JEE preparation is considered as the best as compared to the offline ones because students can achieve the best rank by preparing at the places where they reside. If, in any circumstances, they are not comfortable with the online mode of learning, then it can also be good for them to move to India for JEE Preparation. • Suitable for Class 12 students. • Total duration is 480 hours. • Strictly comprises only the contents of the syllabus of JEE Mains. • Almost 30+ Ex-IITians tutorials over the lessons are served before the students. Our team of Testprepkart is not a mere headcount of novice teachers but a serious coherent try of Ex-IITians. 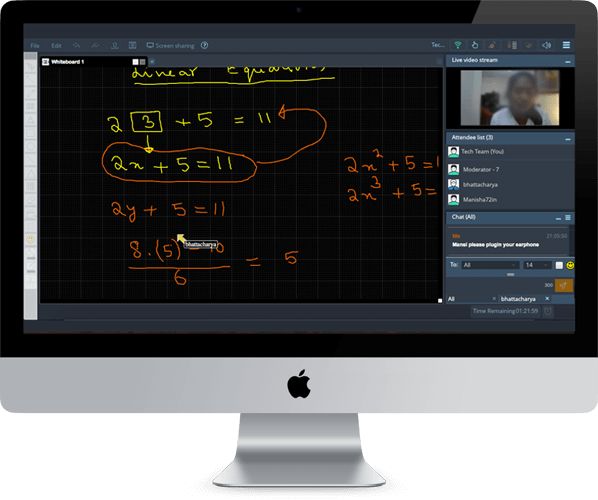 • Real Live & Interactive mode of coaching throughout the entire course is available which essentially connects each student with their respective teachers. • Small batch strength so as to ease the environment of the class. 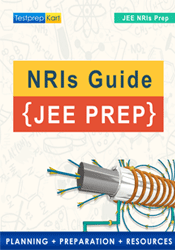 Reiterating, one must prepare from the NCERT books as well while he/she preparing for JEE Mains. The next step is JEE Advanced. Candidates who qualify JEE Mains, clear the cut offset by IITs and are in the top 20% of their board are eligible to be ranked for JEE Advanced. The JEE advanced exam is conducted by the IITs. We shall now discuss some more books that can be used for the preparation of JEE. Why JEE Online Coaching is better than JEE classroom coaching? SELF STUDY: The biggest advantage of opting for an online preparation course is that it gives you the benefit to study yourself without being totally dependent on someone else. You have the benefit of learning from various portals and blogs and can extract the most information on a given subject. You have a better control over your learning process. BEST CONTENT: Usually the best content by the most competent tutors is made available online, sometimes as a free resource and sometimes at a nominal charge, which is way less than what one would have to otherwise shell out during a classroom coaching. TIME SAVING: In a classroom coaching set up, one has to continuously be on the move, from one coaching to another, in a lot of cases, students are expected to relocate to a totally new place during the course of their coaching. 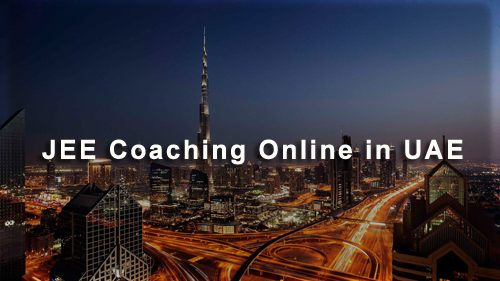 Here online coaching comes to the rescue as students can save on a lot of time and effort of running around and can access all that they need at the click of a mouse. CONVENIENT: It has already been discussed as to how online training programs help students save time and learn in the comfort of their houses. Students also find it convenient to use since they can give undivided attention to their study schedule as they are away from distractions. LEARN AT YOUR OWN PACE: People have their own pace of learning and this problem is never catered to in a classroom coaching setup where the coaches are always pushing hard to cover the maximum syllabus in very limited time. In an online coaching format, a student can play and pause a lecture at his convenience which means that he gets the advantage of learning at his own pace. FLEXIBILITY: A very big advantage of an online learning platform is that one can study as per his convenience. Since one can have his doubts clarified conveniently and a lot of online coaching portals give the advantage of 24 hour support, JEE online coaching scores over JEE offline coaching. MONITOR YOUR PROGRESS: A lot of online learning platforms now provide parents and students the option of monitoring their progress. The progress based on the student’s performance in the practice papers and mock tests is readily available and one can access the same and judge his/his ward’s performance with ease. ECONOMICAL: Most of the online learning and coaching platforms provide coaching and resources at a much lesser price as compared to an offline model. 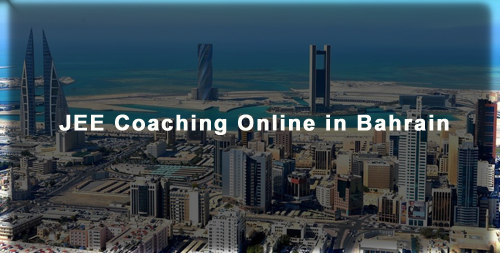 On an average, the total cost involved in an online coaching is way lesser than a traditional model of coaching. Keeping in mind the above factors, JEE online coaching clearly scores over JEE offline (classroom) coaching. However, it is always wise for students not to develop a kind of complacency when it comes to JEE online coaching. They should be driven enough to complete their syllabus modules within the timeline decided by them so as to gain the maximum out of the facility provided to them. They should try not to get into a comfort zone and should always be assertive and determined to complete their course. You don’t need to Crack JEE if you want to pursue Engineering. There are several other Engineering Entrance Exams that can land you in some Reputed Engineering Colleges. Have a look at the most popular entrance exams details to get admission in different Engineering colleges and courses. SAT - SAT stands for Scholastic Aptitude Test. It was first initiated in the year 1926 and undergoes regular amendments and changes till date. The SAT test is carried out seven times each year in the month of October, November, December, January, March or April, May and June at international level. SAT is a Paper-based standardized test. SAT Test is designed for examining your writing, critical reading and mathematical knowledge. The Paper is designed for time duration of 3 to 4 hours. The Scoring system is based on scale of 200 – 800 (in 10- points increments) on each of the substituent sections (total of 400- 1600). However, the essay is scored on a scale of 0 -24, in 1- point increment order. BITSAT - Birla Institute of Technology & Science, BITS Pilani offers various Integrated First Degree Programmes across its four campuses ill Pilani, Dubai, Goa and Hyderabad. BITS Pilani conducts Birla Institute of Technology and Science Admission Test (BITSAT) every year for admissions to its UG engineering programmes. Nearly 2,000 seats are available under such programmes. IISER - IISERs stand for Indian Institute of Science Education and Research. These are supposed to be the institutes of National importance. The IISERs are controlled by MHRD, India. IISERs provide duel degree, BS + MS over a period of five years. The Govt. of India is planning to open 2 new IISERs, one at Brahampur, Odisha and other in Nagaland. ISAT - ISAT is to be conducted by the Indian Institute of Space Science and Technology (IIST) for admissions in the three B.Tech programs namely Aerospace Engineering, Avionics, and Physical Sciences. Now, admissions in IIST have started on basis of JEE scores. IIST will publish 2019 B.Tech Admission rank list and the date/venues for counselling in the IIST official website (Dates are Tentative). KVPY - Kishore Vaigyanik Protsahan Yojana or better known as KVPY is a scholarship program that started in 1999 by the Department of Science and Technology(DST) of the Government of India. This program is run by Indian Institute of Science (IISc) and aims to encourage the students studying science to take up research in the areas of basic science as a career option. The program is for those students who are highly motivated and talented students who want to pursue their career in science research areas. NTSE - The National Talent Search Examination are for those candidates who are studying at Grade X level. NTSE mainly consists of tests like Mental Ability Test (MAT) and Scholastic Aptitude Test (SAT). The format of question paper in the MAT and SAT are in the form of multiple choices. Every question has four alternatives. NTSE is a national level scholarship exam under NTS scheme in Indian since 1963. This scheme was introduced as National Science Talent Search Scheme. The scheme aims at awarding scholarship for higher studies and nurturing talented students. Other State Engineering Examinations - Engineering examination in India can be categorized in two categories, one is National level engineering examination and State level engineering examinations which are organized by respective states. We can tell you that we are very happy with the Testprepkart JEE Coaching, its faculties and the education you provide to our son.We thank the team for the great service you provide, and the skills you teach our son. When looking at the team of teachers you provide, I can tell you that we are very satisfied. I am, as a business leader, quite impressed on how little impact the impressive growth TestprepKart has experienced over the last years, has had on the children. Good work. The best decision I made for my Son so far is that I enrolled him in Online JEE Coaching with TestprepKart and the result is infront of my eyes.He Cracked JEE Advanced and grab a seat in IITs.Thanks for all of your support and I will totally recommend TestprepKart to everyone who is preparing for JEE. No Doubt,TestprepKart is an amazing Institute.Their's Online CLasses are way more better than face to face classroom Classes.The Online Classes helped in saving a lot of time.The Teachers are really good and their understanding of concepts are totally clear.I will recommend to everyone to take JEE Coaching Online rather than Classroom coaching and you will see the difference. In my Opinion,TestprepKart is the best Online JEE Coaching Institute. Can I apply for DASA / CIWG Schemes using JEE? I will be in grade 12th in 2021& wanted to study in any of the NITs. I am getting confused with recent DASA updates. Yes, you definitely can. But beware to keep checking for updates because DASA just gave an official notification on their site. There is no circular yet. They might release a circular soon. 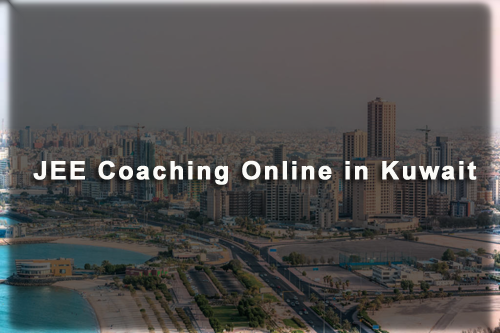 I live in a remote village in Oman and coaching centers are very far away from my home and it takes a lot of time commuting so I am looking for JEE coaching online so that I can prepare easily for JEE. I am having difficulty in mathematics & physics for JEE preparation so I am looking for JEE coaching online classes in Ajman to prepare for JEE. When will be the application process start for JEE 2019? I live in Fujairah City Can you tell me if there will be any test center held in Fujairah. Where can I download some free study materials for JEE? I am looking for JEE free preparation online as I am already enrolled for JEE coaching online.